Posted on 10/05/2018 by Mickey McCarter	in Live Review and tagged Buffalo, Goo Goo Dolls, post-grunge, The Anthem. Dizzy Up the Girl has sold more than 4 million copies (4x platinum certified). “Iris” immediately reached #1 on the Hot 100 Airplay chart upon its release from the City of Angels soundtrack, and the song stayed on top for 18 weeks, setting a record. “Iris” also reached #1 on the Billboard Modern Rock chart, the Adult Top 40, and Mainstream Top 40 chart, garnering three Grammy nominations. 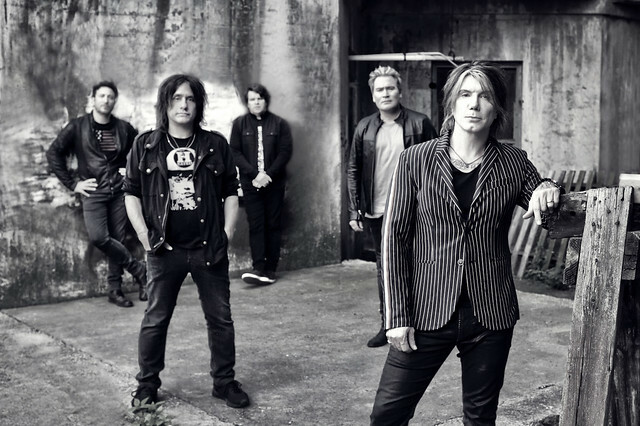 Goo Goo Dolls recently released The Audience Is This Way, a 10-track live album recorded on recent tours. The album includes hit songs like “Iris” and “Slide” and boasts never-before released live concert recordings of 10 tracks spanning their full discography. When Goo Goo Dolls found success with Dizzy Up the Girl, Stephen Thomas Erlewine of AllMusic said it suited them well. “Goo Goo Dolls actually sound better as a mainstream band,” rather than the college rockers they were previous to the smash, Stephen said.